Dr. Vaidya is the director of the Center for Adrenal Disorders at Brigham and Women’s Hospital and Assistant Professor of Medicine at Harvard Medical School. Advances and controversies in hypertension and primary aldosteronism? This bracket is a heavyweight showdown. Primary aldosteronism is the most common endocrine cause of hypertension and contributes to cardiovascular and kidney disease. Unfortunately, primary aldosteronism is severely under-diagnosed; the screening rate for primary aldosteronism using unequivocally recommended indications, such as severe hypertension and hypokalemia, is abysmal. Perhaps more surprising, if you ask experts, “What is primary aldosteronism?” or “What is hypertension?’, instead of unanimous and clear definitions, you are likely to receive differing interpretations, and an assortment of explanations, clinical approaches, and philosophies. We are living in an incredible time where on the one hand, improving the detection of hypertension and primary aldosteronism are public health objectives, while on the other hand, the very definitions of these conditions are evolving and being redefined such that their classical scope and prevalence is an expanding moving target. primary aldosteronism could either be cured with unilateral adrenalectomy, or it had to be treated with lifelong mineralocorticoid receptor antagonist therapy. These dogmatic dichotomizations were convenient and simplified the writing of textbooks and education of trainees and clinicians-in-practice. However, it is becoming clear that these categorizations are over-simplifications that obscure the more fluid and nuanced spectrum of primary aldosteronism: we can now appreciate that the pathogenesis and clinical presentation of primary aldosteronism can exist across a broad continuum. In just the last 10 years, our understanding of the pathogenesis of primary aldosteronism has exploded from knowing very little, to recognizing that the underlying mechanism for autonomous aldosteronism, in almost every instance, is dictated by somatic mutations in ion channels that govern the cell membrane potential of zona glomerulosa cells. Further, primary aldosteronism need not be a neoplastic process! 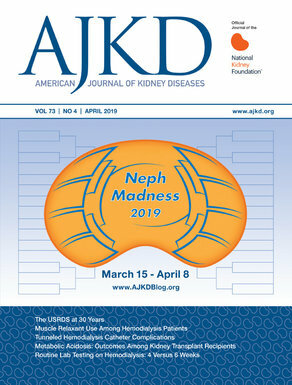 These somatic mutations induce inappropriate expression of aldosterone synthase, essentially an aldosterone “secretory abnormality,” that can be found even in the absence of adenomas or hyperplasia – that is, even in morphologically normal adrenal glands. Thus, the biochemical and clinical severity of primary aldosteronism may be defined by the combination(s) of secretory and neoplastic pathotypes: secretory abnormalities alone may cause primary aldosteronism that is mild and/or bilateral, whereas the combination of neoplastic growth that harbors these secretory abnormalities is what causes the aldosterone producing adenomas that underlie typically more severe instances of primary aldosteronism. Heterogeneous permutations of this pathotype may explain why beyond the classical primary aldosteronism that is described in textbooks (i.e. severe hypertension, hypokalemia, with very high aldosterone-to-renin ratio), we are still able to detect a prevalent and milder form of renin-independent aldosteronism. For example, a phenotype of primary aldosteronism that exists below our current diagnostic radars, but still contributes to cardiovascular disease and responds preferentially to spironolactone or amiloride, can be detected in resistant hypertension, mild-to-moderate hypertension, and even among normotensives. How prevalent is primary aldosteronism and how should we define it? Have the classical definitions of the disease blinded us from seeing its full phenotypic spectrum? How commonly does autonomous aldosteronism contribute to “essential” hypertension? Should we be using mineralocorticoid receptor antagonists more frequently? What are practical approaches for implementing this evolving knowledge into clinical practice? What innovations are on the horizon that may permit better phenotyping of hypertension, quantification of the role of aldosterone and the mineralocorticoid receptor, and optimization of targeted therapy? We have spent decades focusing on the tip of the iceberg. Now, armed with transformative evidence, the future evolution of primary aldosteronism will be defined by the answers to these critical questions.